Located on one of the most prestigious roads within the N8 area, is this excellent four bedroom family home with it's own parking space. 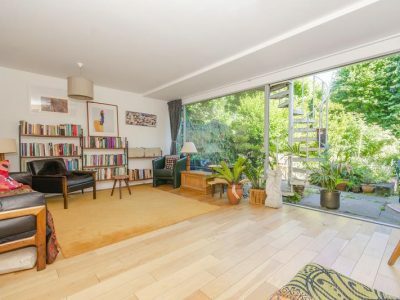 Nestled mid way down a quiet, suburban part of Crouch End is this superb family home with it’s own off street parking. Mixing a tasteful blend of period and modern features which will satisfy the most discerning of buyers, it boasts four good sized double bedrooms. Upon entry into the spacious reception (via the hallway with original tiling), viewers will be struck by it’s bright and airy feel having been previously opened up from two rooms. The oak flooring is also worth noting. Leading into a modernised kitchen which in turn opens into the delightful garden. There is also access to a guest cloakroom, a utility room and a storage cellar. Upstairs, the master bedroom has a wealth of built in, be-spoke wardrobes and has an en suite shower room. 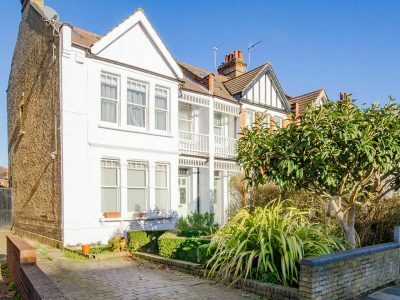 The top floor has been developed into a secondary master (or guest bedroom) with its own en suite and looking to the rear you get a stunning view of the Victorian glory of Alexandra Palace.